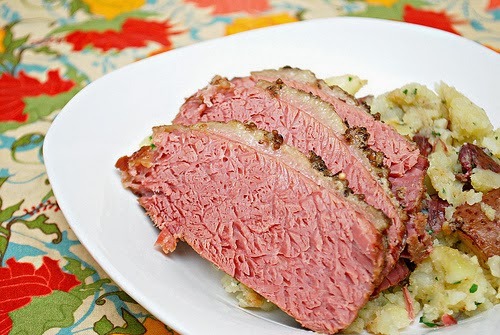 Here are The BEST Slow Cooker Corned Beef Recipes for perfect corned beef in the slow cooker! Hope you’re getting ready for St. Patrick’s Day! Click here to PIN the BEST Slow Cooker Corned Beef Recipes! Click Here to see The BEST Instant Pot Corned Beef Recipes! 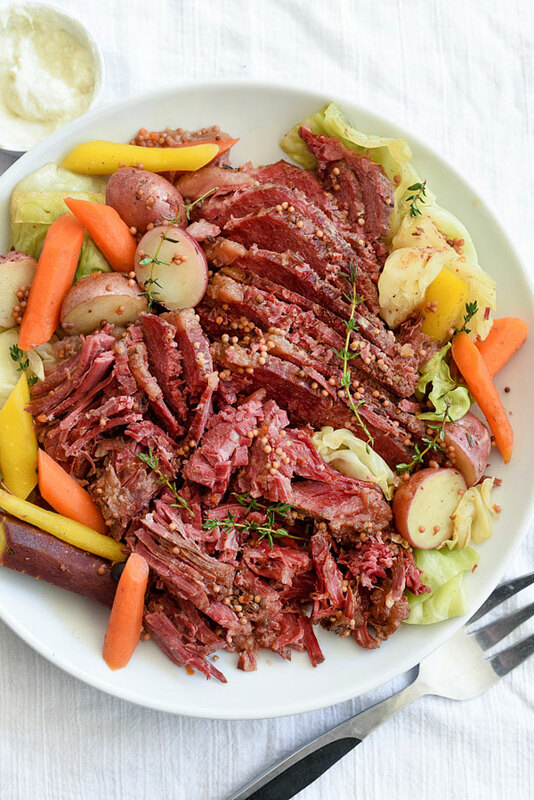 St. Patrick’s Day is this weekend, and we recently featured Instant Pot Corned Beef, so I wanted to remind you that Slow Cooker Corned Beef is also a delicious option for St. Patrick’s Day eats! This post has so many good ideas for Slow Cooker Corned Beef, and we’re featuring it again to get you in the mood for March 17. Corned beef is definitely not the most photogenic of foods, but if you’re a corned beef lover like I am, I bet all these look good! 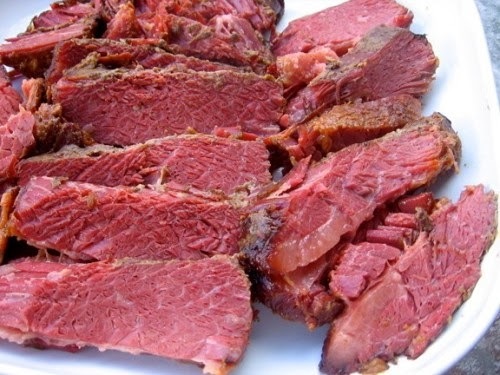 And on Kalyn’s Kitchen I recently posted The BEST Low-Carb Corned Beef Recipes, which has good ideas for leftover corned beef if you’re lucky enough to get some. Slow Cooker Corned Beef was something I made every year in the days before I had an Instant Pot. Now I’d have a hard time deciding which method I prefer! But no matter whether you use the slow cooker or the Instant Pot, I hope you get to enjoy some delicious corned beef on March 17! All photos are copyrighted to the blog that posted the recipe ; just click the recipe name under any photo to get the complete recipe from the original site. The photo above is my own Corned Beef with Veggies and Horseradish Sauce, something I’ve made for many years in the slow cooker. I’ll be making that again this year, although these days I’d probably make Roasted Cabbage with Lemon instead of cooking the cabbage in the slow cooker. 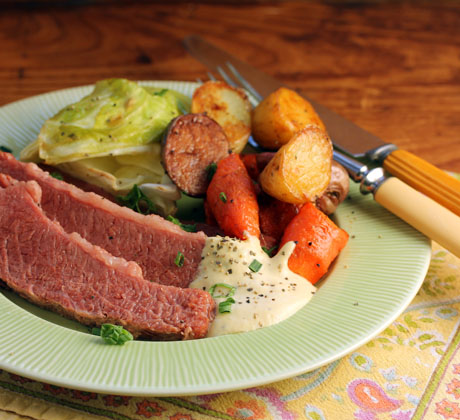 Slow Cooker Corned Beef and Cabbage from Foodie Crush has all the ingredients that make this Irish-American dish a classic. I’m completely intrigued by this Slow Cook Thai Coconut Corned Beef and Cabbage from Belly Full, and I love these flavors so I’m sure I’d like it! 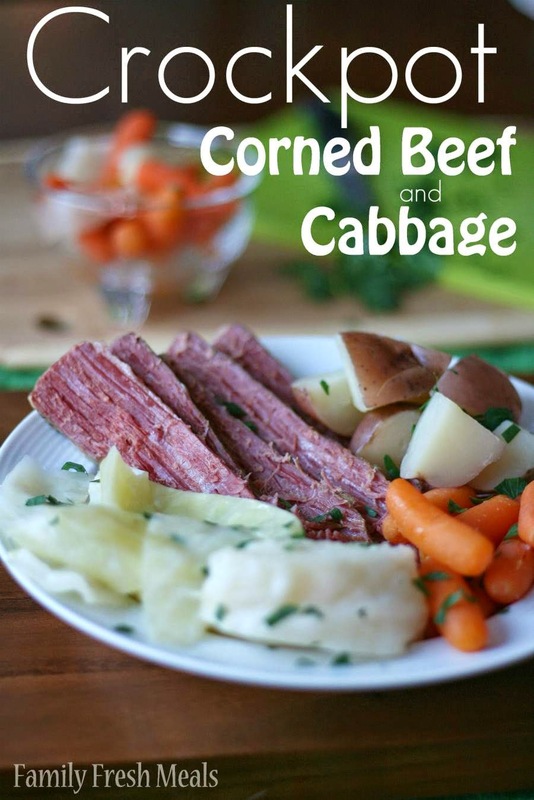 I love the idea of using rainbow carrots in the Slow Cooker Corned Beef and Cabbage from Rachel Cooks! 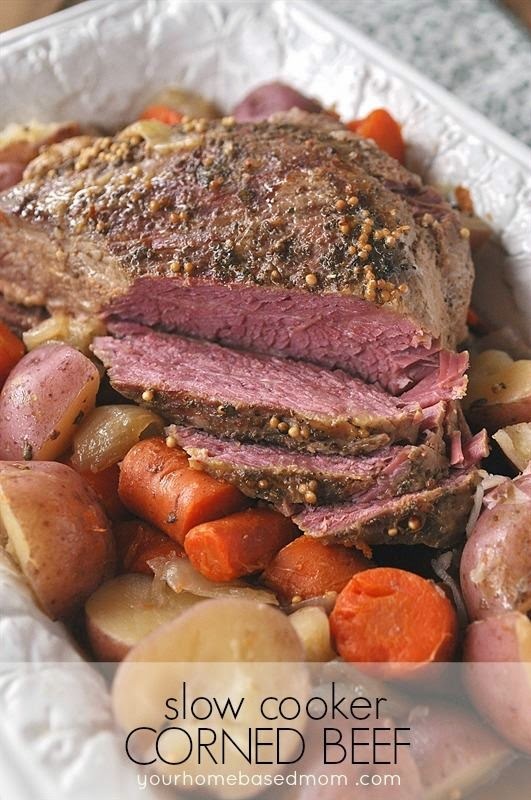 Slow Cooker Corned Beef from Your HomeBased Mom has potatoes and carrots added halfway through the cooking time. 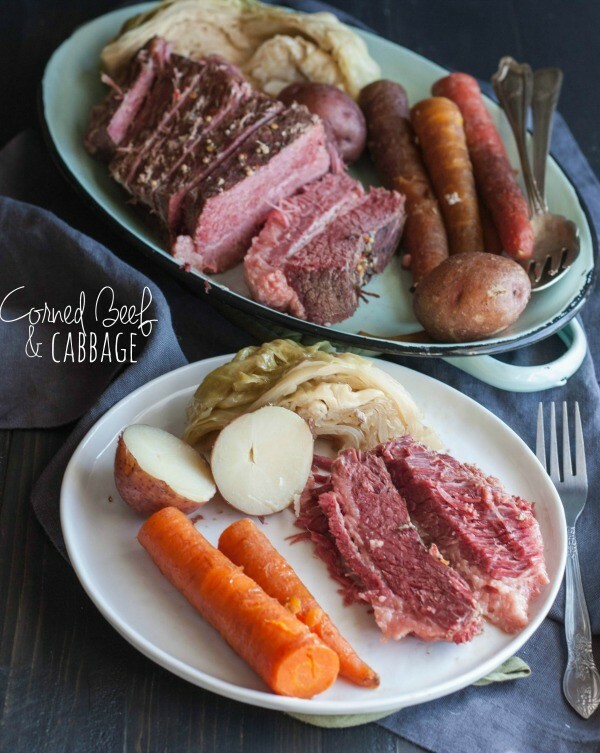 I love this Slow Cooker Melt-in-Your-Mouth Corned Beef and Cabbage from The Perfect Pantry, where the corned beef, potatoes, and carrots are cooked in chunks; then shredded cabbage is added at the end with and it’s served with a maple white balsamic vinegar glaze. 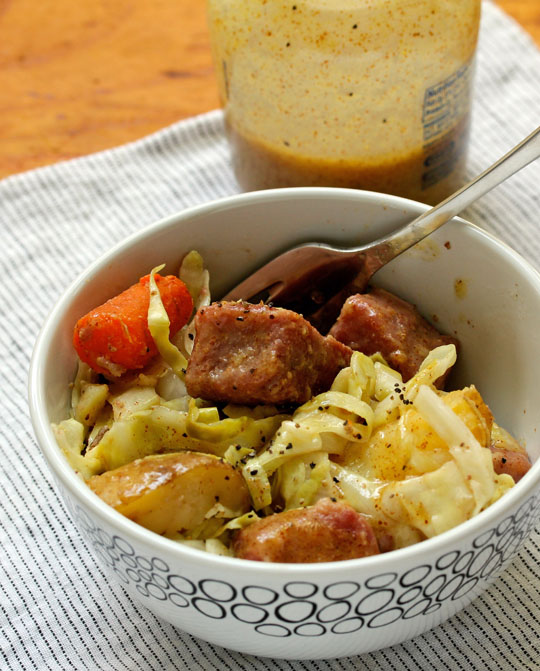 Slow Cooker Corned Beef and Cabbage from Simple Nourished Living cooks the vegetables with the corned beef but adds the cabbage near the end. Slow Cooker Corned Beef with Horseradish-Mustard Sauce from The Perfect Pantry also sounds great. Crock Pot Corned Beef and Cabbage from Skinnytaste adds a generous amount of parsley to bump up the green factor! 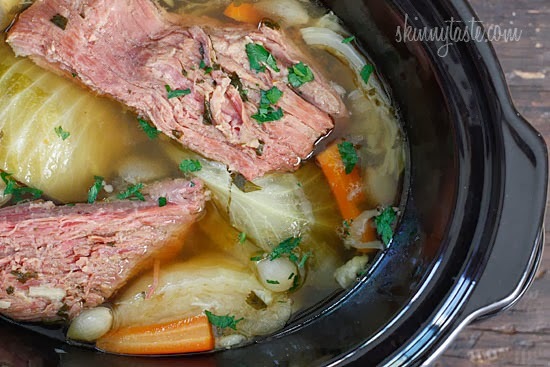 You’ll find Slow Cooker Corned Beef and Vegetables at A Year of Slow Cooking, which Stephanie assembled the night before and then cooked the next day. If you have two slow cookers, you could make her Roasted Cabbage and Vegetables and cook the veggies separately. Crockpot Corned Beef and Cabbage from Family Fresh Meals cooks the corned beef, potatoes, carrots, and cabbage, with each vegetable added at the right time to cook it perfectly. What’s Cookin’ Chicago has Beer Braised Corned Beef that’s also flavored with vegetables, chicken stock, and spices. 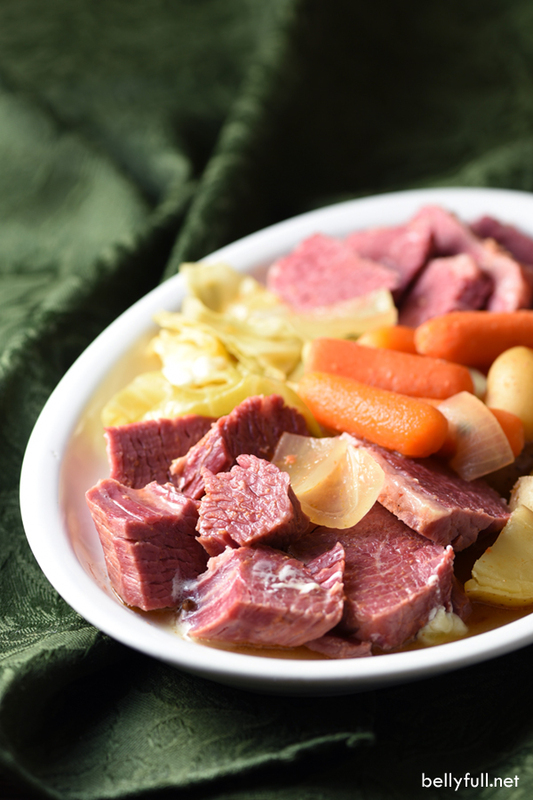 Are you cooking corned beef and cabbage for St. Patrick’s Day? If you have experience with this dish, we’d love to hear your tips in the comments. I completely forgot St. Patty's day is coming up! I'll probably be eating out and washing it down with some green beer. I agree, never too many recipes for corned beef! Pam enjoy the green beer! I just bought one at Costco and it has a slow cooker recipe on the package. But I do want to make horseradish sauce to go with it. I do one in the slow cooker almost every year and it seems like they are pretty fool-proof. Brenda, a couple of these recipes had options I hadn't thought of, but I agree, corned beef is simple in the slow cooker. I always make my irish corned beef and cabbage in the slow cooker. I add in carrots, 1/2 recipe of the potatoes and a bottle of irish beer. The cabbage goes in 1/2 hour before serving time. It is the easiest and most delicious way to make the dish. ALLLLLLL the corned beef recipes! This is awesome! Thanks for including me! Rachel, my pleasure! And Yaaaaay for slow cooker corned beef, right? Thanks for including a couple of my corned beef recipes. I’m a total convert to Instant Pot corned beef, which is so tender (90 minutes in the Instant Pot, and natural pressure release). Yes, I agree the Instant Pot method is also great.